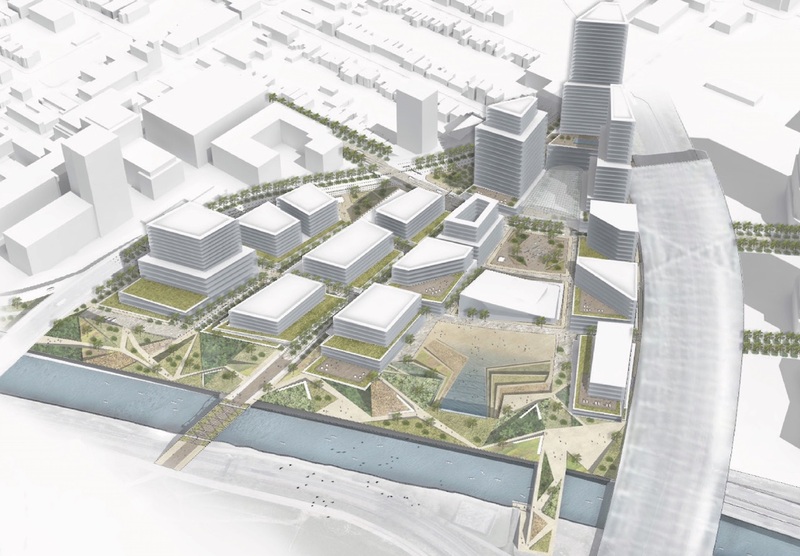 A redevelopment plan for a Toronto site presented by a team from Cornell University has taken top honors in the 2018 Urban Land Institute (ULI) Hines Student Competition, an ideas competition that provides graduate students the opportunity to devise a comprehensive design and development scheme for a large-scale site in an urban area. Members of the Cornell team were awarded a prize of $50,000 at the conclusion of the competition in Toronto on April 5. The finalist teams, one from the University of Maryland and two from the Georgia Institute of Technology, were each awarded $10,000. The 2018 competition reflected development plans being considered as part of the City of Toronto’s vision for reviving the neighborhoods east of its historic downtown. 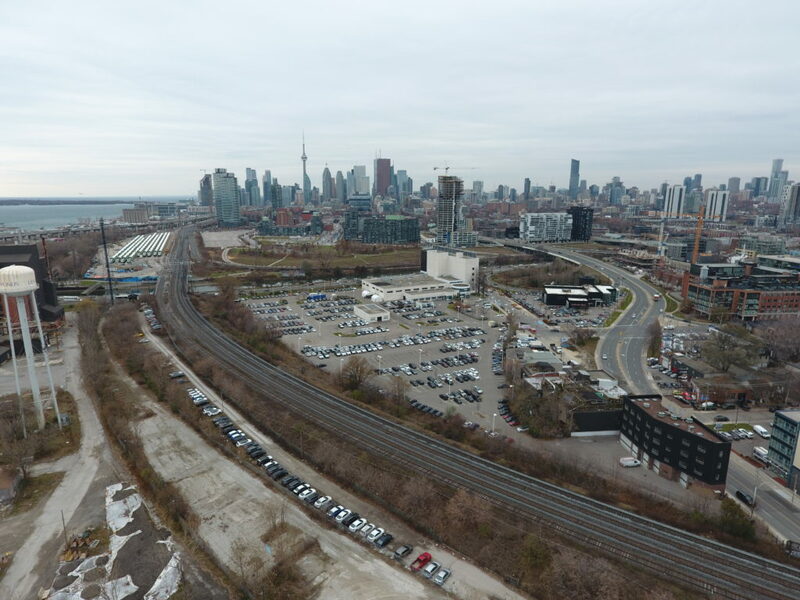 Participants were tasked with creating a master development plan for the redevelopment of parcels adjacent to the Don River into a thriving mixed-use community that would catalyze other development, including additional commercial, retail and residential space, and connect residential neighborhoods in the city’s northeast section to commercial neighborhoods in the southern section. The 2018 winner and finalists were chosen from 130 teams representing nearly 60 universities in the United States and Canada. Team proposals were required to illustrate innovative approaches to five general elements: 1) planning context and analysis, 2) a master land use plan, 3) urban design, 4) site-specific illustrations of new development, and 5) development schedule and finances. “Absorption” from the Georgia Institute of Technology – Creating a space for regeneration, recreation, and reflection, “Absorption” is a mixed-use, transit-oriented development that seeks to transform East Toronto’s local ecology and local community into a smart, healthy, and equitable transit centre. The development addresses four challenges that Toronto faces in its evolution to become one of the Rockefeller Foundation’s 100 Resilient Cities: a lack of ecological renewal, social equity, a vibrant economy, and authentic cultural identity. While each proposal differs in terms of specifics, all emphasize aspects of inclusivity, diversity, livability, connectivity and sustainability, incorporating features such as affordable housing and walkability, as well as common space that serves as a public amenity and to aid in storm water management. Several team members noted that how they experience cities – what they enjoy, what they don’t – influenced the creation of their schemes. “We wanted to create a place where we would want to live,” said master of architecture student Jonathan Franklin of the Georgia Tech Eastern Link team. 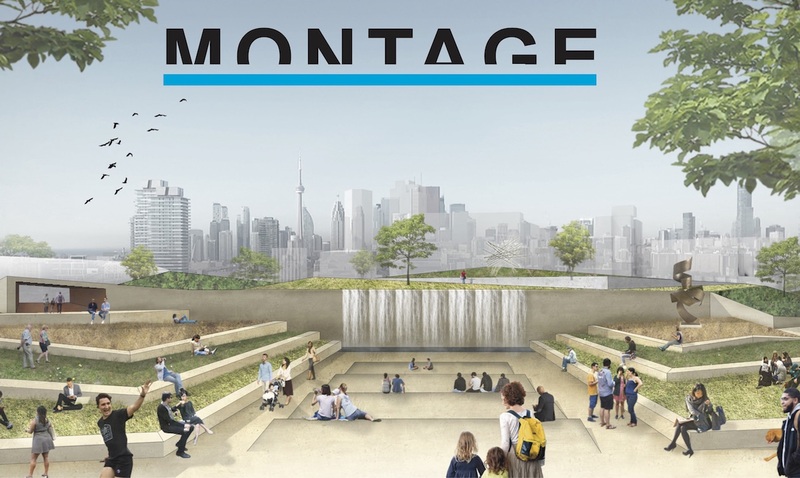 The competition jury consisted of renowned experts from diverse backgrounds in real estate finance, design and development, including four leading members from ULI Toronto who provided insight into whether proposals considered local cultural, economic and political issues. In addition to Jury Chairman Weisbrod, members of the jury were: Paul Bedford, chairman, Waterfront Toronto Design Review Panel and former Toronto Chief City Planner, Toronto, Ontario; Robert E. Engstrom, president, Robert Engstrom Companies, Minneapolis, Minnesota; Merrie S. Frankel, president, Minerva Realty Consultants, LLC, New York, New York; Bruce Kuwabara, partner, KPMB Architects, Toronto, Ontario; Raymond C. Mikulich, managing partner and chief investment officer, Ridgeline Capital Group, New York, New York; Sharmil Modi, principal, Modi Adventureprises Boston, Massachusetts; Vicki R. Mullins, executive vice president/chief financial officer, Newland Real Estate Group, San Diego, California; Alex Rose, senior vice president, Continental Development Corporation, El Segundo, California; Jamie Simchik, principal, Simchik Planning and Development, Portsmouth, New Hampshire; Megan Torza, partner, DTAH, Toronto, Ontario; and Leslie Woo, chief planning and development officer, Metrolinx, Toronto, Ontario. Engstrom, whose ULI involvement spans decades, was impressed with proposals that anticipated future changes in land uses, particularly the adaptability of parking facilities to the evolution of driverless technology. The 2018 competition marked Engstrom’s second time judging entries; he also was on the jury for the 2013 competition, which challenged the teams to create a redevelopment scheme for a section of the Downtown East neighborhood in Minneapolis. That experience convinced him of the potential of the students’ ideas to pique the interest of the private and public sector, and possibly have some effect on actual land use decisions. “The student’s presentations raised the profile for the east side of Minneapolis, which needed some redevelopment,” Engstrom recalled. The revitalization that has occurred there over the past five years (including the opening of the U.S. Bank Stadium and The Commons, an urban park) has “made the area come alive,” he said. Simchik, a ULI Young Leader, participated in the competition as a graduate student in 2013, 2014 and 2015. Being on the “other side” and narrowing the entries down to one winner was a learning experience, in terms of factors the jury considers versus what students prioritize, he said. “You are taught in design school to push boundaries, but at the end of the day, the project has to be feasible,” he said, noting that “being creative while grounded in reality” is what made the finalists’ proposals stand out. The program is part of an ongoing ULI effort to raise interest among young people in creating better communities and improving urban development patterns, as well as increase awareness among students of the need for interdisciplinary solutions to development and design challenges. The competition is strategically structured to encourage cooperation and teamwork—necessary talents in the planning, design, and development of sustainable communities—among future land use professionals and allied professions, such as architecture, landscape architecture, urban planning, historic preservation, engineering, real estate development, finance, psychology, and law. It is open to graduate students who are pursuing real estate–related studies at universities in the United States and Canada, including programs in real estate development, urban planning, urban design, architecture, and landscape architecture. (l. to r.) Richard Joy, executive director, ULI Toronto; Paul Heydweiller; Peter Romano; Rawinthira Narksusook; Jamie Mitchell; Gary Esposito; Derek Goring, ULI Toronto Chair (Photo by Patrick Moher).